Chevrolet Volt Pros and Cons | Page 1 of 1 | Why Not This Car? 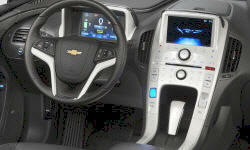 Love the Volt's drivetrain technology! Kudos to Chevrolet for striking a reasonable balance between mid-range electric vehicle driving and the need to drive long distances without charging pit stops. The Volt is an ambitious car, and my experiences with it have been completely positive, with the exception of some minor complaints about the interior layout and rear visibility. Want to save big time on gas get a Volt. Electricity costs to fill it up each night while you sleep if drained right down is about $1.50. There has never been a problem with our 14 Volt. The local Big-O rotated the tires but didn't reset the wheel location so the display is confused. Easy Fix. Very peppy and quiet. Reminds me of driving a heavy Audi 500CS Wagon. 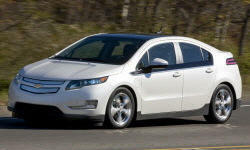 The Chevy Volt was recently voted by the readers of TheTrueAboutCars.com as the 10th worst car on sale today. Does it deserve it this reputation? The Volt is a great all-around vehicle! What impressed me most about the car was the power it had, or at least felt it had. The electric motor instantly puts down the torque to pass.